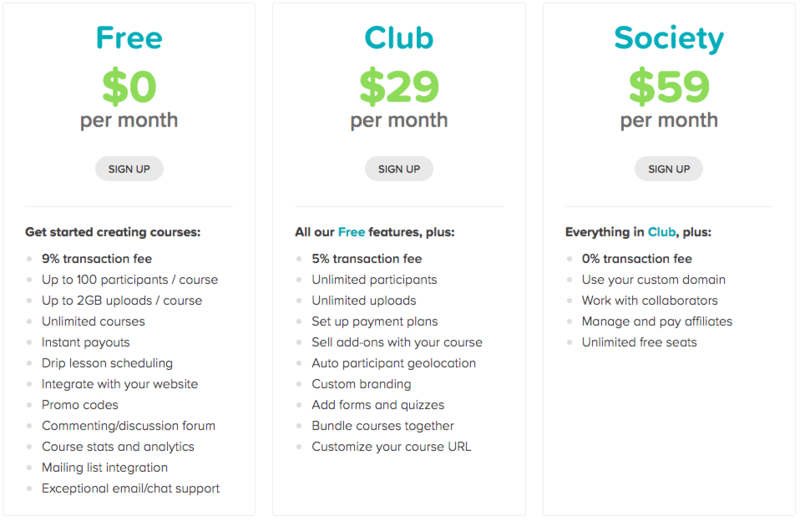 Get to know CourseCraft's pricing. We have 3 pricing tiers to choose from. Getting started with CourseCraft is always free with no credit card required. Stay on the 'Free' plan or move up to either 'Club' or 'Society' to take advantage of our other features. Yes, definitely! If you're subscribed to a paid membership plan there are no limits at all to the size of a free course.